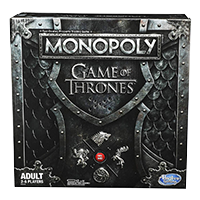 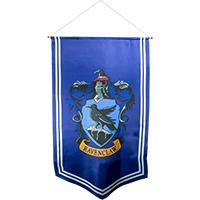 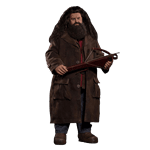 One of the most beloved characters in the Harry Potter books and movies is the Hogwarts games keeper and half-giant, Rubeus Hagrid. 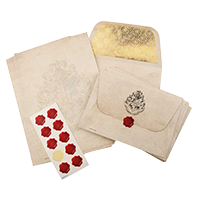 He introduces young Harry to the wizarding world and is a constant friend and protector to the young trio of Harry, Ron and Hermione. 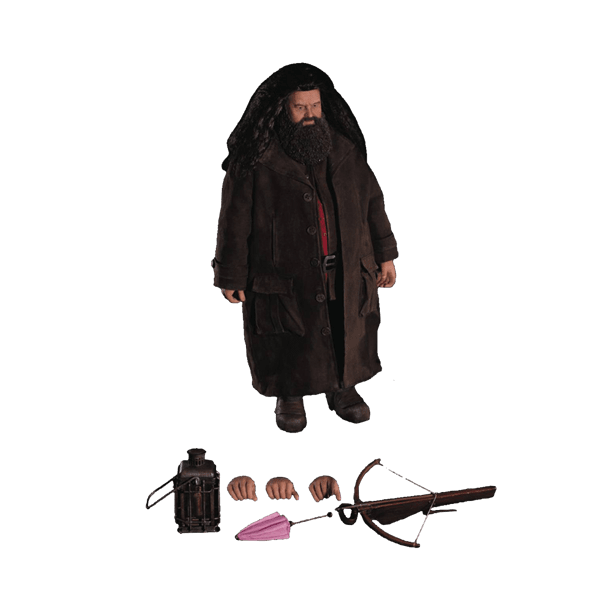 This 1:6th scale collectible figure of Hagrid features an all-new 40 cm body with over 26 points of articulation. 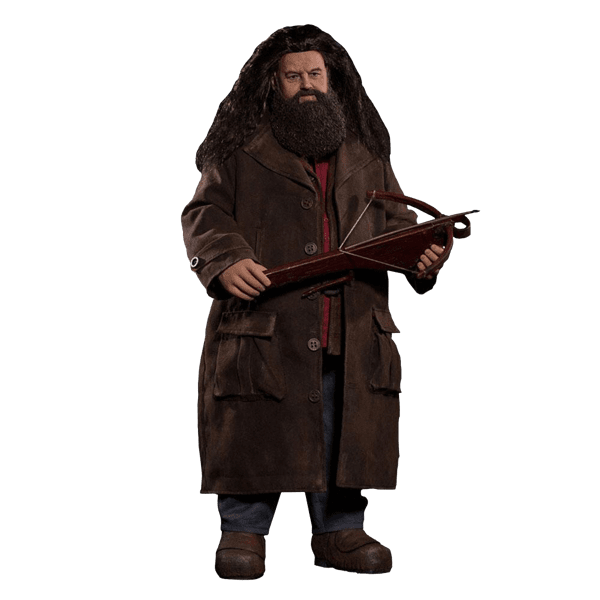 The authentic likeness of Robbie Coltrane as Hagrid has rooted hair and a sculpted beard, each sculpt meticulously hand painted. Hagrid comes with his authentically styled costume as he appeared in “Harry Potter and the Sorcerer’s Stone” and he comes with his crossbow, wand, a lantern with light-up function (batteries not included).